If your old truck is not functioning well, or if you simply want some extra cash for your new truck, visit Cash for Trucks Queensland. We take apart all sorts of vehicles whether it is a truck or cars, vans, and others. With our own dragging vehicle, we will disburse good money and accept scratched or useless trucks anywhere in Queensland or nearby regions. Paying up to $7,000 hard cash for your used trucks we are the topmost cash for car service in the region and the entire process is quick and bother free. Take up an appointment with us in order to collect your truck and we reimburse you on your place without asking you further queries. 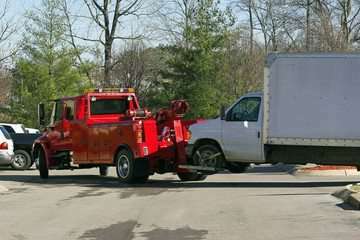 Our Company will tow a ruined, dented, used or junk truck, van, ute and other vehicles for free. You can also drive your truck to our neighbouring yard and receive instant money for it. Call us 07 3338 8937 to sell your trucks or fill in the request for quotation form online. One of our vehicle drivers will call to arrange an exact time convenient for you. The staff at Cash for Truck wreckers Queensland will quote and collect the old truck the same day. Want to remove your discarded truck? We purchase them and offer you cash. Call us without any fees. Share your truck information with our specialists. Obtain an offer. Get the best offer for your truck. If you are happy, we will confirm and book. Get instant bucks for your trucks. We collect your truck for free on the same day and hand you the agreed money in your hand. Paperwork is completed by our specialists related to truck wrecking services as required in Queensland. No additional costs for this service. You can trust us. Presently, Our Company holds numerous vehicles for dismantling as well as reprocessing. We have a huge supply of off-the-shelf components for grave trucks, trailers, HGV, Lorries, plant machinery etc. QLD Wreckers provide a lot you discover on the engines, tires, lights, wheels, gearboxes, axles, cabs and the entire other vehicle parts are available. 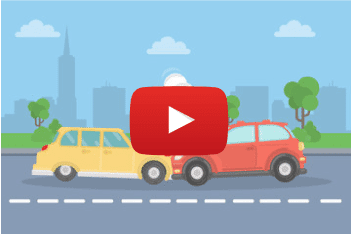 Why Cash for Trucks Queensland? At Cash for Truck wreckers Queensland, we have recognized ourselves as a contributor of superior quality components. Our services are ideal for industries, owner drivers, or diminutive industry owners who require quality substitute components for their Isuzu or any other trucks. Our quick service makes sure that you obtain the parts you require as fast as possible, as a result, you can work efficiently without interruption. We employ specialized experienced courier facilities to ship our goods, thus you can be sure your parts will turn up exactly the way you want it to. Why waste time to get the parts you require, instead, turn to us for all truck parts. You will be surprised by our supply of parts.